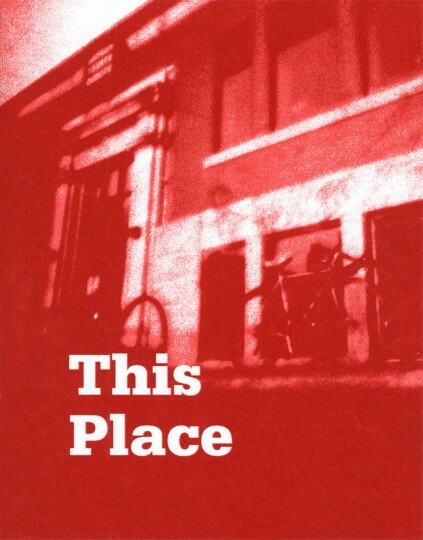 Join us on April 19th for the launch of This Place, a publication celebrating 10+ years of the Youth Outreach Program, and opening reception of the Winter 2018 Youth Outreach Program (YOP) Showcase. This event is free and open to the public. Come out and join us for an evening of celebrating talented youth in art! Martha Street Studio presents This Place, a publication documenting the YOP 10+ Celebration held in the summer of 2017. This Place was produced by graduates of the Youth Outreach Program (YOP), which has been running at Martha Street Studio since 2006, with close to 400 participants in total. The publication features a hand screenprinted cover and risograph insert, and is free to graduates, instructors, and facilitators of the Youth Outreach Program. Please contact us at 204-779-6253 or at projects@printmakers.mb.ca if you cannot make it to the event, but would like a free copy or e-book. The YOP 10+ Celebration was a six week long series of workshops and lectures, ending with an exhibition. All aspects of the celebration were facilitated and organized by graduates of the Youth Outreach Program. Workshop facilitators and speakers included: Mariana Muñoz Gomez, Michael Mogatas, Natalie Baird, Chloe Chafe, Kelly Campbell, Luther Konadu, Natalie Elizabeth, Letch Kinloch, Callen Froese, Abigail Auld, Stephanie Poruchnyk-Butler, Jean Borbridge, Calvin Joseph, Justin L’Arivée, and Lissie Rappaport. This Place was made to document the impact of the YOP program, and showcase what a number of participants have gone on to do. The Winter 2018 YOP Showcase runs from April 19 – 26. We are open Tuesday – Friday from 10-5pm, and Saturdays from noon-5pm. Since 2006, the Youth Outreach Program at Martha Street Studio has been creating community and providing support for young people searching for ways to express themselves creatively. By introducing up to six printmaking techniques in this free 12 week program, participants are constantly learning and exploring the various potentials of different printmaking processes. Many YOP graduates go on to work in creative industries as contemporary artists, designers, makers, architects, arts administrators, teachers, curators, art therapists, activists, city planners, academics, and technicians. For more information please contact Sarah at education@printmakers.mb.ca. Martha Street Studio is located at 11 Martha Street. A loading zone is located on the street at the front of the building. Martha Street Studio is an accessible space with a lift and two gender neutral accessible washrooms located on the second floor. ASL interpretation services for scheduled artist talks can be requested up to 48 hours before an event, and transcription services can be requested 2 weeks before an event, by email at askmartha@printmakers.mb.ca or by phone at 204-779-6253.